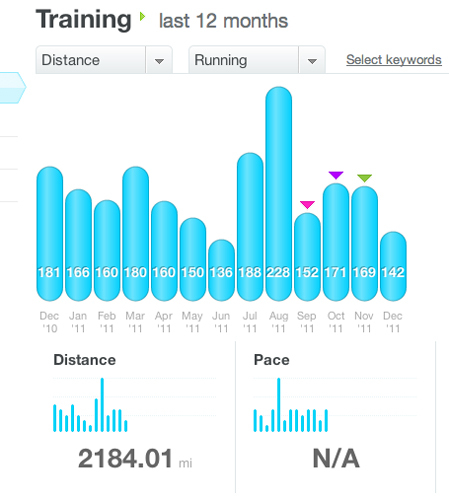 Remember when I talked about that little goal I had of running at least 2000 miles in the year 2011? As it turns out, that part wasn't that hard at all. 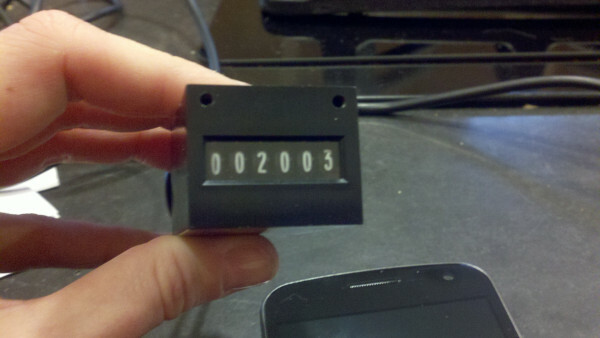 The hard part was doing the STUPID MATH so that I would actually be aware of it when I acheived the milestone. 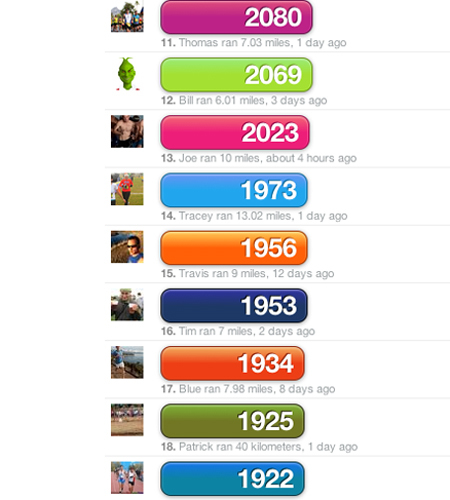 You see, I had been taking my yearly mileage number from Dailymile's "leaderboard" page- a section that shows how your miles measure up against all of your friends. I put my faith in that number. I lived by that number. Anyway he says to me "All those monthly numbers already add up to over 2000 don't they? "To which I PSHAWED and replied, "Of course not! I know my yearly total! Do you think I would have passed 2000 miles and NOT KNOWN IT?" So I opened up my calculator and added up January, February, March, April, and so on. So I added it again. I passed 2000 that morning and I had no clue. In fact, I had finished 2000 exactly with my friend Sara merely an hour earlier and then bounded off for three more cooldown miles around the park, completely oblivious to my milestone. Maybe you think this is all a tad obsessive but for people like me it really is a big deal. My friends and I all use this site to track our workouts and believe me if any of us had gotten to January 1st and then found out Dailymile shorted us a few miles of our goal- it would not be pretty. At least in my case the discrepancy was in the other direction, but I still feel like the whole build up was a bit... anti-climactic now. But still, yay? Now I get to spend the last week of the year running whatever miles I want, whenever I want, JUST BECAUSE I LIKE TO. And that's awesome. I can plug this guy into my laptop and it will grab my miles from the interweb and display the running total accordingly. (His blog post about how he made it can be found here.) As it stands I'll probably wipe it out after the 31st and start over for 2012 and I'll keep it on display somewhere in the house. Really, the whole thing just tickles me. Robot Lady has an odometer now. It's too perfect. For future reference that 2003 figure is easily attainable from the first screenshot. You simply take the Distance of 2184.01 and subtract Dec 2010's distance of 181 and boom....2003. :) That's how I've been doing it all this time anyway. Congrats on the huge milestone Tracey----that's a lot of miles! Thanks John! I know, I realized that too. I was just so confused about the conflicting numbers that I wanted to add up every possible scenario in case of a mistake.